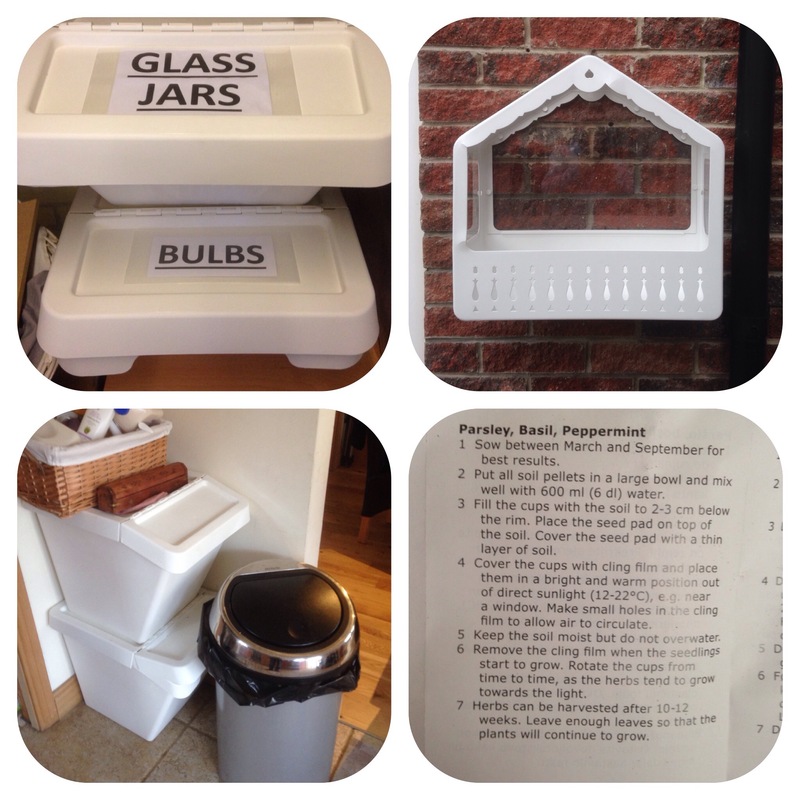 We are well and truly into the Living Lagom project and already are seeing and feeling the benefits. Our gas and electricity usage for the months of January and February are about 260 and 300 units respectively per month. This is a reduction on the corresponding months last year. This has mainly been achieved by several changes. These are the curtains in the hall at the front door and in the living room, which cuts out the drafts and heat loss. The roller blinds in the kitchen, dining room and conservatory, which tidy the rooms up, keeps heat in the kitchen and conservatory and allows segregation of the conservatory and insulation of the conservatory. It also allows a blackout screen which enables us to watch the TV without the reflection of light on the screen. The rug in the living room and throws on the sofas make the living room feel warmer and we spend time in here as a family playing games and chilling out, whilst having the wood fire burning away. Also the LED bulbs in the main lights and lamps have made a difference in the ambient lighting. In the kitchen the pressure cooking has been used many times, my latest culinary delight was a truly authentic pork vindaloo, please check out my web site http://www.belfastfoodman.com for the recipe and pictures etc. My daughter and wife enjoy the hot piping soups in the thermos flasks and my daughter loves weighing things in the food scales!! The glass storage containers have really kept all our fresh salad and vegetables fresh for longer so there is less food waste. Our white storage and recycling bins have really made a difference and I’ve rejigged where I’ve placed them- I’ve put two in the garage (viz pictures). The next wee project which we started, now the weather is getting better, was planting the seeds and using the portable greenhouses. 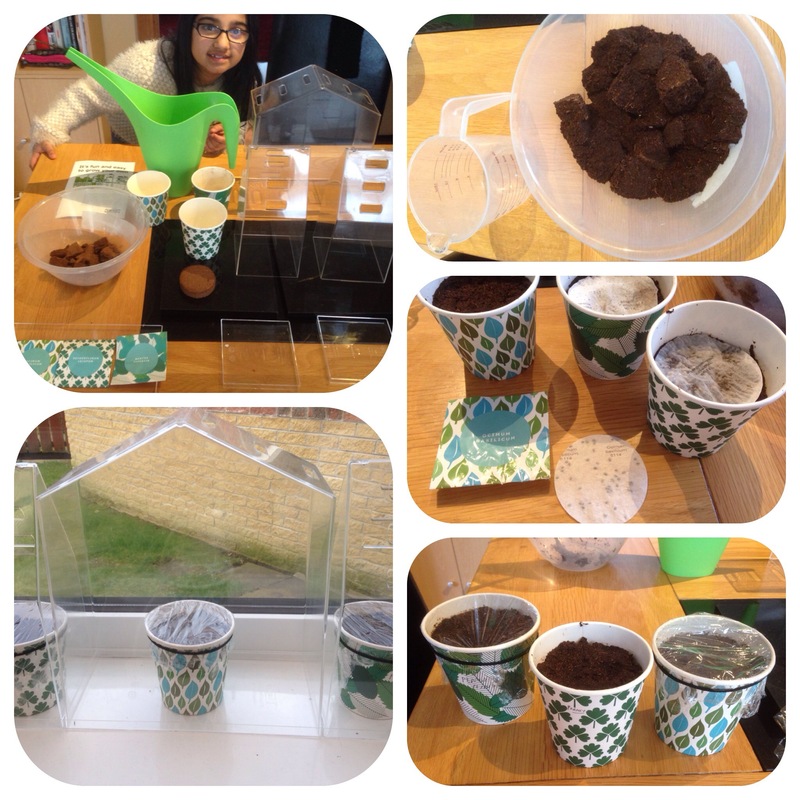 My daughter and I rehydrated the soil (by adding 600ml of water to the three soil pellets which we broke up and then stirred when water was absorbed)and planted the seed disks of Basil, Parsley and Peppermint in the cups provided, covered with cling film and put into the clear green houses and placed on the window sill. The metal and Perspex green house I put up outside (viz pictures) and I will put plants in them when its a bit warmer. My daughter was very excited and keen on helping out here and was fascinated at how the soil changed from dry state to wet state!!! This is a great idea for her to get involved and actually see what is happening. Hopefully come June time I can show you all the fruits of our labours. In conclusion I can truly say that the whole family is getting involved in the project and are really enjoying it. It would be of great interest to see how energy consumption compares in 2017….maybe we can do a mini Lagom project to see?